Inditex - the group behind Zara, Massimo Dutti, Oysho, Bershka - is today a major force in the world of high-street fashion. It recently outranked Gap as the No.1 clothes retailer in the world. In virtually every city in the world, you will see one or more of Inditex's shops - Zara being the most conspicuous. Yet little is known about this amazing success. 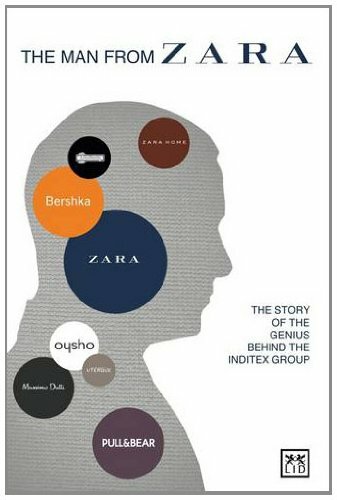 This book offers such an insight by telling the story of the genius behind the Inditex Group - Armancio Ortega. Besides being one of the world's richest men, Ortega is the brains behind a modern-day revolution in textiles and fashion retail. Who really is Armancio Ortega? Where is he from? Where is he going? What led him to dream up this empire? Through unprecedented access to Ortega and his closest aides, the author provides a compelling and unique biography of the man responsible for one of this century's most extraordinary business successes. Covadonga O'Shea is the president of the ISEM Fashion Business School. She lectures on the fashion industry in Europe and the USA. She is a regularly contributor to newspapers and magazines.